5 Fandom Friday: Fictional pets I’d love to adopt. There can be no doubt that I’m an animal lover at heart. I adore my pets and every animal under my roof is utterly spoiled with love and affection. While I’m perfectly happy with Miss Jellylorum and Mr Ringo for the time being, there are several fictional pets that I’d be happy to add to my personal menagerie…. 1. Binky from The Discworld series by Terry Pratchett. Now, I’m not normally a horse person, but I’d make an exception for Binky. Binky is a pure white horse owned by Death. He has a sweet nature and loves galloping around the black fields surrounding Death’s castle. Oh, and he can transport his rider to other dimensions and worlds, so he is basically a spaceship. I’d be happy to let this awesome horse take up residence in my backyard. 2. Salem from Sabrina the Teenage Witch. I’ve often thought it would be awesome if my cats could talk, simple because I’d love to find out what’s going on inside their heads sometimes. So a talking cat rates high on my list of imaginary dream pets. And a wise-cracking sarcasm machine like Salem would be a great companion. There are a couple of reasons why I’d like to have Thing in my household. Firstly, he’d be darn useful, helping with chores and bringing in the mail. Secondly, you could play some seriously awesome practical jokes with a living, disembodied hand. Finally, I’d love a pet that can give me a lovely foot rub at the end of a long day at work. 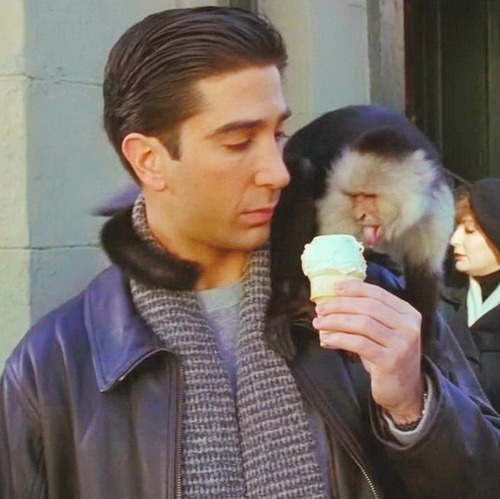 Ever since I was a little kid, I’ve wanted a pet monkey. They are just so adorable and I imagine that we’d have loads of fun together. Marcel was a bit of a handful, and wasn’t particularly well toilet trained, but he was super sweet and had awesome juggling skills. Even though Seymour only appeared in one episode of Futurama, he made a deep impression on me. Jurassic Bark is one of the saddest pieces of televisual entertainment I’ve ever seen and I cry every time I watch the final scene where Seymour waits endlessly for his master to return. I would like to adopt Seymour so that he wouldn’t have to have such a sad ending to his life. Although Fry didn’t intentionally abandon Seymour, my heart goes out to pets that have been left behind by their owners, and I like the idea of being able to give one a second chance at happiness. If you could adopt a fictional pet, which one would you take home with you? Next Movie costumes I wish I owned. I debated with myself for ages whether I should include Seymour. The main reason I wasn’t going to is because it meant watching that clip yet again. But I would truly have loved to look after him for his remaining years. He deserved a second chance. This post made me smile ear-to-ear! Wha a fabulously fun idea for one. I love animals, real and fiction, and think that – child of the 80s clche though it may be – one of my dream fantasy pets would be a unicorn. Not a specific famous unicorn, just a unicorn in general – or a pegasus, I’m totally down with pegasusi (I’m guessing that’s the plural? :D). Tons of hugs & joyful start of August wishes! Oh yes, I think most of us children of the 80’s longed for a unicorn at some point. I never really went through a “horse phase” as a girl but I definitely went through a “unicorn phase”. Binky sounds amazing, omg. O.O!!! Salem! ♥ WHY DID YOU MENTION SEYMOUR. SO SAD!!! But actually, I love that you did, and I wish we could ALL take care of him!!! My first choice on my list, Nagini from Harry Potter! Jen’s is Kirara from InuYasha! I ummed and aahed about whether or not I should bring up Seymour because he makes me feel ALL THE FEELS but I didn’t feel like I could write this post without mentioning him. I really would have loved to bring him home and look after him for the remainder of his days. Binky is so fabulous. If you haven’t read any of Terry Pratchett’s Discworld series, I definitely recommend them. If you’re into fantasy and supernatural stories with a fair dollop of humour, I think you’d really like them. They have also made several into films, such as Going Postal and The Hogfather (which features Binky). I love that Salem has been on a few lists! He completely skipped my mind! I’m not surprised that Salem has been so popular. He’s hilarious and who wouldn’t want a talking cat?